If you’re suffering from elbow pain, take comfort knowing that you’re not alone. 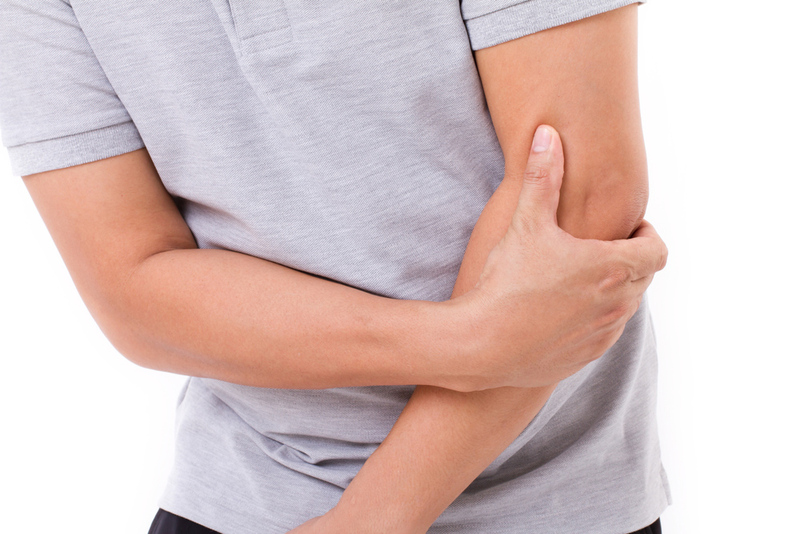 Elbow pain is an extremely common complaint and there are many causes for this problem. Often times, elbow injuries are sports-related. Athletes can experience tennis elbow, golfer’s elbow or muscle sprains and tears. However, you can injure your elbow doing repetitive daily tasks such as typing, gripping or even gardening. If you’re unsure of the cause of your pain, or if you’re experiencing the inability to carry objects or use your arm, elbow pain at night, elbow pain that persists beyond a few days or an inability to straighten or flex your arm, you should seek medical attention. At Baudry Therapy Center, our physical therapists are trained specialists in elbow injuries, pain management and relief. If you are experiencing elbow pain, Call Baudry Therapy Center to schedule a PT evaluation. Our therapists will help you understand how your hand works, determine the source of the pain, learn how to decrease the pain and help you develop the strategies to back in the game. Our therapy consistently ranks in the Top 5% in outcomes nationwide.